An advanced course on ‘Design and implementation of breeding programs for smallholder poultry farmers’ by the African Chicken Genetic Gains (ACGG) project will be held in Addis Ababa, Ethiopia, from 27 September to 2 October 2015, at the ILRI campus. The course, which is being offered for the first time, is designed by the International Livestock Research Institute (ILRI) and Wageningen University. Targeting PhD researchers involved in on-farm and on-station poultry genetic improvement, the course aims to contribute to increased collaboration between the participants and contribute to realizing the ACGG program goals of increasing smallholder chicken productivity in Africa. Course participants will become familiar with the ACGG program and establish a network of professionals working in poultry improvement across Africa. Be able to present the contribution of their own research project to improving the livelihood of resource-poor smallholders. The course will include a broad series of activities (lectures, group assignments, presentations, discussion on cases and a field excursion). A reader will be prepared covering papers/documents spanning the domain of the course. Participants will get access to an e-learning module on basic animal breeding to help them prepare for the course. 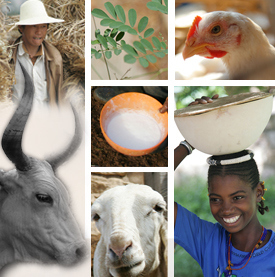 Participants should have an interest in breeding programs in developing countries. The course will focus on poultry but is also relevant for other species. Participants are required to have a basic understanding of animal breeding and should preferrably have an MSc degree related to animal breeding and genetics. In addition to the 15 participants from Tanzania, Nigeria and Ethiopia (ACGG project countries), up to 20 international students will participate. Tags: training, Wageningen University, WUR. Bookmark the permalink.